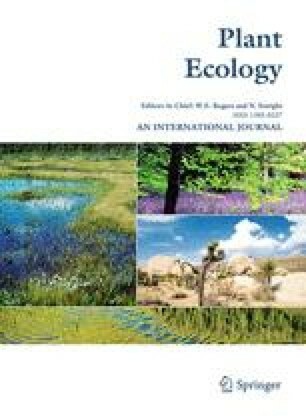 The spatial heterogeneity of populations and communities plays a central role in many ecological theories, for instance the theories of succession, adaptation, maintenance of species diversity, community stability, competition, predator-prey interactions, parasitism, epidemics and other natural catastrophes, ergoclines, and so on. This paper will review how the spatial structure of biological populations and communities can be studied. We first demonstrate that many of the basic statistical methods used in ecological studies are impaired by autocorrelated data. Most if not all environmental data fall in this category. We will look briefly at ways of performing valid statistical tests in the presence of spatial autocorrelation. Methods now available for analysing the spatial structure of biological populations are described, and illustrated by vegetation data. These include various methods to test for the presence of spatial autocorrelation in the data: univariate methods (all-directional and two-dimensional spatial correlograms, and two-dimensional spectral analysis), and the multivariate Mantel test and Mantel correlogram; other descriptive methods of spatial structure: the univariate variogram, and the multivariate methods of clustering with spatial contiguity constraint; the partial Mantel test, presented here as a way of studying causal models that include space as an explanatory variable; and finally, various methods for mapping ecological variables and producing either univariate maps (interpolation, trend surface analysis, kriging) or maps of truly multivariate data (produced by constrained clustering). A table shows the methods classified in terms of the ecological questions they allow to resolve. Reference is made to available computer programs.